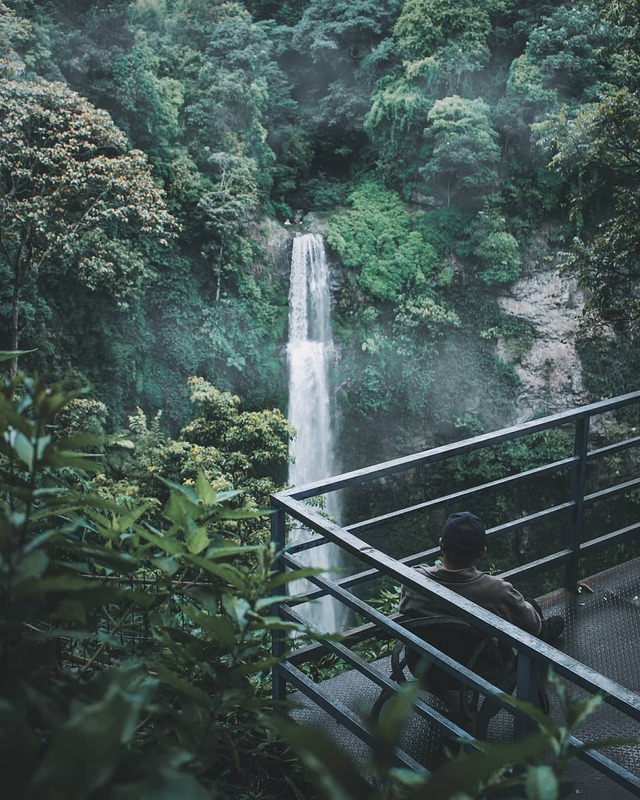 Cimahi Waterfall is above 1050 meters above sea level, with temperatures ranging from 18 to 22 degrees Celsius, making it a typical mountain resort in western bandung with cool air. Water source from Curug cimahi itself comes from the upstream area of western bandung lake in Bandung Situ Lembang, which then flows into the city cimahi and water is partly used as a source of drinking water (PDAM) and partly again for agriculture. This waterfall itself was first opened to the public is since 1992 ago. And around the period 2010 to 2014, Curug in West Bandung has stopped operating as a Tourist Place in Cimahi Bandung due to renovations and also revitalized. If asked why this place is now a tourist destination that many tourists visit, then the answer is because the main attraction of this waterfall if the afternoon and evening will terlehat colorful. Why can ? this is because Waterfall Cimahi was changed to the concept of waterfall tour of the American style in 2014. Open every day, Monday to Sunday, starting at 08:00 to 21:00 pm. You can pass the Cimahi route, which then continues through the direction of Cihanjuang and Parongpong area (Butterfly Park) direction to Lembang. If you bring a private vehicle, you can pass the path Cihideung (Flower Garden Cihideung) towards the direction Cisarua. If taking the route from Cimahi city, you can go through Colonel Masturi road towards Advent Indonesia University to Parongpong terminal. You can use public transport route Ledeng - Syukasari from Ledeng terminal. Arriving at Sukasari terminal in front of Villa Istana Bunga, please go down and walk about 25 minutes or continue ride Cisarua - Lembang transport or if from Cimahi can from Terminal Pasar Atas Cimahi Cimahi - Cisarua. 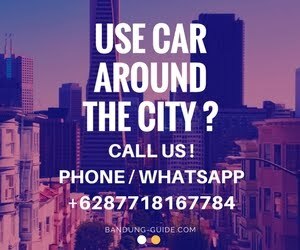 If from the direction of the city of Bandung, you can use the route St.Hall - Lembang from bandung station, then ride the majors Lembang - Cisarua and down right in front of the gate of Curug Cimahi tourist attractions. Or you can take the route from the plumbing terminal, then take the Ledeng - Parongpong transportation, and from the terminal proceed using Parongpong - Padalarang route.